Recently, Congress passed a settlement agreement in which $38 million will be disbursed to victims of the 2007 Minneapolis bridge collapse. Victims who agree to the settlement waive their right to sue the Minnesota government, but retain the right to sue private companies and contractors involved. Under the agreement, victims who were on the bridge are entitled to up to $400,000, and $12.6 million is reserved in a special fund for those who sustained the worst injuries and losses. While this agreement may seem generous, some criticize Minnesota law for granting too much immunity to government officials. While the state no longer adheres to principles of Sovereign Immunity, statutes and case law have severely circumscribed the ability of private citizens to sue the government; for example, Minnesota’s law limits government liability to $1 million per incident (note, that’s per incident, not per victim). Governmental immunity laws serve important public interests, namely they allow state officials such as firefighters and police officers to use their discretion during highly complex and intense situations without fear of reprisal. Ideally, immunity allows officials to do their best on the job. However, such laws may also be used to cover up improper practices on the part of officials. Obviously, the government should not be allowed to shirk its responsibilities to citizens. Moreover, private companies should not be left to absorb a disproportionate amount of the blame. For example, some victims of the bridge disaster sued consulting firm URS Corp., which evaluated the bridge for the Minnesota Department of Transportation. Do victim compensation funds like Minnesota’s offer adequate relief, or do governmental immunity laws need reform? One problem with compensation funds is that it can be difficult to choose which disasters to compensate. Should public funds be used to compensate tornado victims or those who die in a fire because an inspector failed to identify a violation? Another problem with compensation funds is that many are riddled with restrictive requirements which limit the amount victims can recover – or prevent them from recovering at all. Additionally, administrative policies may deplete valuable money, and legislatures have even been known to raid funds. Only time will tell if Minnesota’s fund provides the bridge disaster victims with the help they deserve. 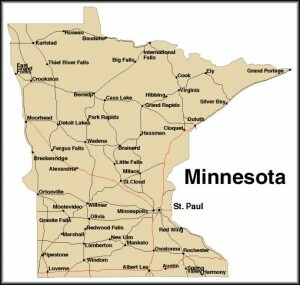 For more information about applicable Minnesota law, visit: LawMoose.